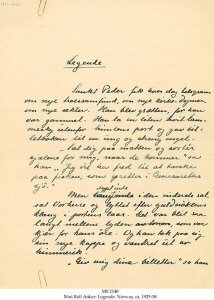 Description	 MS in Norwegian on paper, Oslo, Norway, ca. 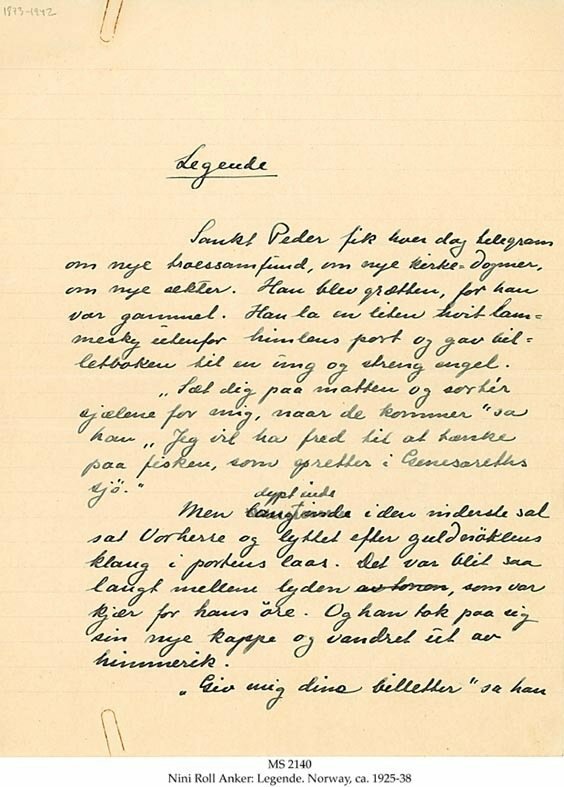 1925-1938, 4 pp., 28x20 cm, single column, (23x16 cm), 26 lines in cursive script, autograph, signed. Provenance	 1. Nini Roll Anker; 2. Publisher, Oslo; 3. Cappelens Antikvariat, Oslo. Commentary	 Nini Roll Anker (1873-1942), Norwegian author.